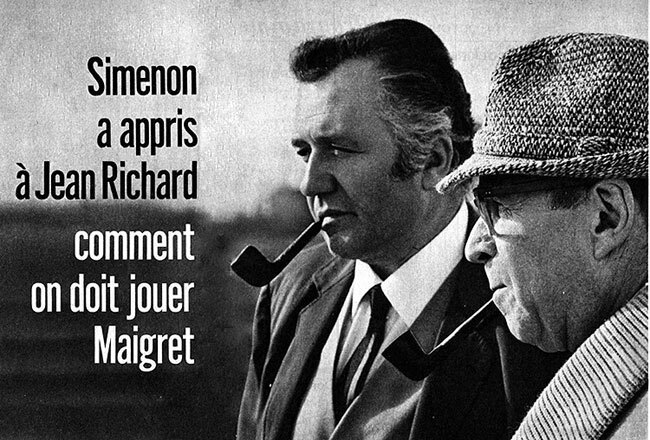 On his property in Epalinge, Switzerland, Georges Simenon offered Jean Richard a Maigret model pipe. "Maigret has been so imitated," Georges Simenon laughingly told me, "that now it seems like I'm the one copying the others!" The others are Inspector Lambert, of "Hello, Police", and Bourrel, of "The Last Five Minutes", which Simenon calls "the poor man's Maigret". Because French television is one of the last in Europe to have its own Maigret  German viewers, Danes, Norwegians, Swedes, the Dutch, the Italians and the English all have theirs. In Italy, since Gino Cervi has played the role of the famous commissioner, the Italians have become pipe smokers, and now more pipes are sold in Italy than in France. 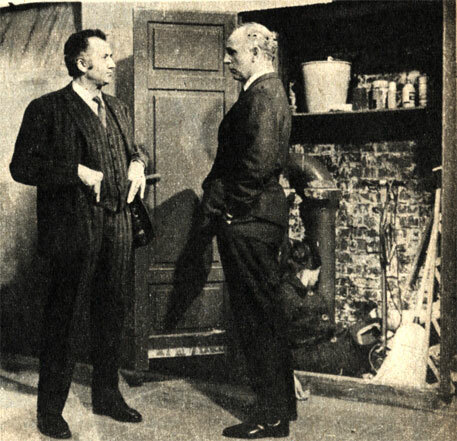 As for Rupert Davies, the British Maigret, he is so popular in Britain that he is now as famous as the prime minister: he inaugurates hospitals and roads. In France it is Jean Richard who will embody Commissioner Maigret. "I mistrust the big stars," Georges Simenon explains to me, because "then it becomes 'Gabin in the role of Maigret'. 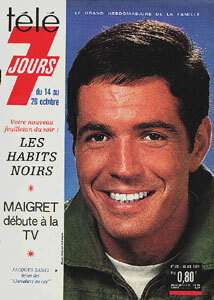 But, for the public someone is necessary who IS Maigret. 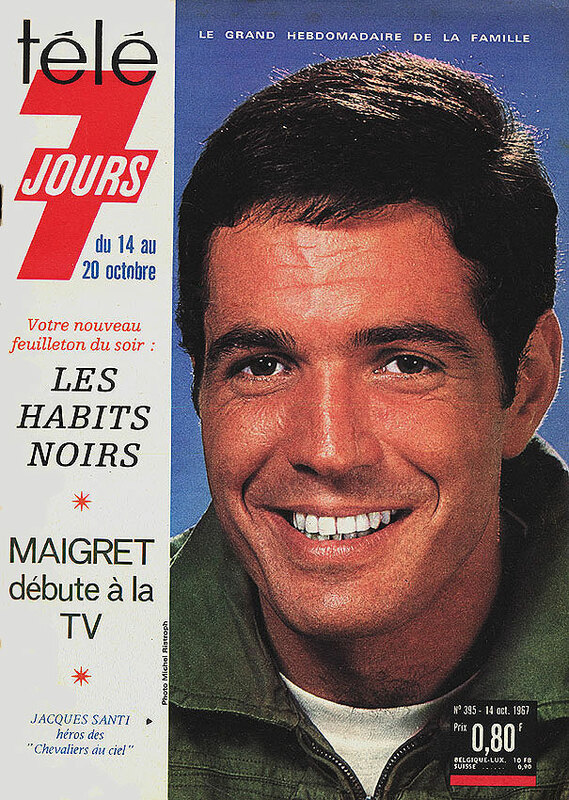 When Claude Barma, producer of the series, proposed Jean Richard to me, I remembered that my son Marc had once said, 'So one day, when they make Maigret in France, Jean Richard would be perfect, because he's not only a comedian and an animal tamer, he's also an excellent actor.' The worst Maigret I've seen," adds Simenon, "was Charles Laughton. He'd wanted to be more French than the French, and played Maigret while hopping and wiggling around." The meeting of Georges Simenon with his nineteenth interpreter was not only cordial but full of lessons for the future Maigret. "I saw you with your animals and I immediately thought that you would make a good Maigret," said Simenon to Jean Richard. "Maigret behaves with a suspect as you do before an animal that you don't know well yet. When he arrives somewhere, he has to impregnate himself with the place. He tries the armchair to see what the suspect sees every day. He familiarizes himself with things. Maigret is not Sherlock Holmes, he isn't looking for anything. You have to play him with a certain slowness because he doesn't have strokes of genius. Maigret shouldn't be quick. His ideas develop slowly because he operates by intuition. He has the art of bothering people. The one who seems most like Maigret is Dumayet, because like him, he is adept at silences. And that is how Claude Barma sees Maigret. He has adopted a slow rhythm. He has sought a maximum of naturalness, in settings as well as in framing. Everything is real in Cécile  the offices of the P.J. have been reconstructed as they were before war, the summonses are actual summonses. The actors are nearly all unknowns. "I've intentionally removed all the 'folklore'," specifies Claude Barma. "For example, you won't see Mme Maigret. In his office at the P.J., I've eliminated the stove. Maigret wears neither a bowler nor an overcoat with a velvet collar. I've only made one concession... Maigret still smokes his pipe!" 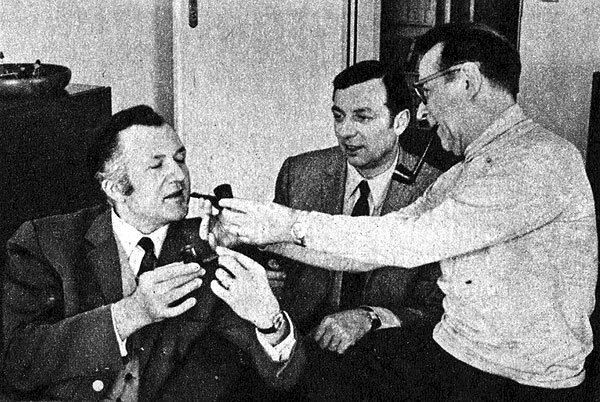 Before Claude Barma (center), Simenon teaches Jean Richard how to smoke a pipe like Maigret. "A character with tremendous depth"
"Bourrel and Maigret are very different," Claude Barma explained to me. "They work in different ways. Bourrel undertakes an investigation. He interrogates people in a set way. He asks them precise questions: 'Where you were last night at 9:00?' Maigret, absolutely not. He talks of one thing and another with suspects, and when he has understood their language, their sensitivity, there are questions which he no longer needs to ask. Bourrel looks for clues. Not Maigret. He tries to reconstruct the psychology of a character, develop a scenario and then see how it fits the situation. In fact, Maigret is a nonconformist. He is a character with tremendous depth, which is not the case with Bourrel, a comic strip hero. Jean LANIER - Director of the P.J. 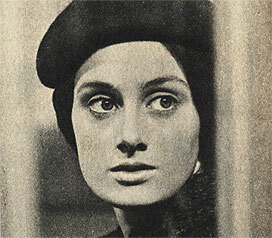 Cécile waits for Maigret. She has some serious revelations for him. 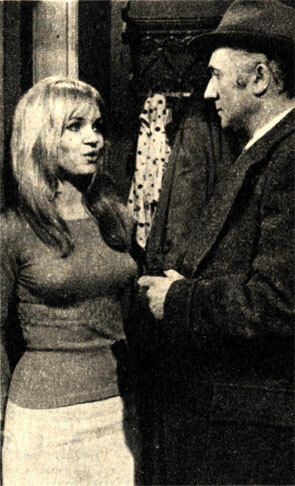 Dandurand (Maurice Garrel) and Cécile. 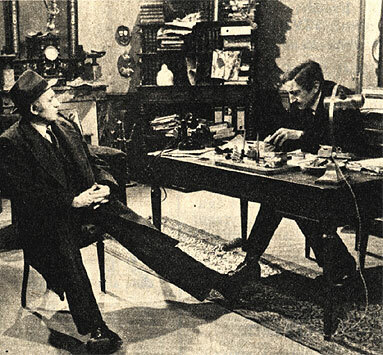 Maigret interrogates Dandurand. Is he on the right track? 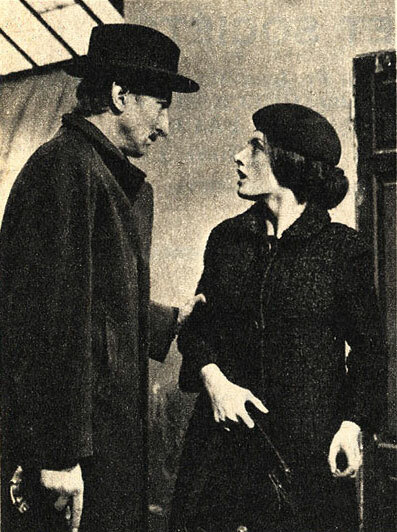 Nouchy (Dagmar Deisen) and Maigret.